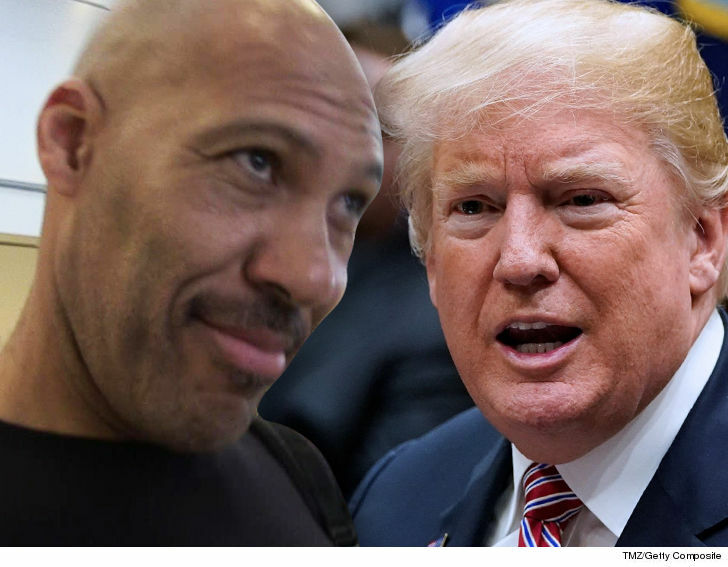 LaVar Ball‘s taking a shot at 45 once again … this time over the report that Donald Trumpdidn’t really do anything to free his son in China after he got caught shoplifting. LaVar refused to thank the Prez back in November for helping spring LiAngelo and his UCLA teammates, claiming there was no proof Trump was the primary reason it happened. A Friday report by ESPN seems to validate that, so LaVar pounced … mockingly asking Trump, “Thank you for what again?” and adding #knowyourfacts #stayinyolane. It should be noted … the ESPN report says even though Trump got involved in the China fiasco after it was basically resolved, he may have still pulled some strings to aid in the players’ departure. Trump was pissed at LaVar for being “very ungrateful” back then in the aftermath of the incident … so we can only imagine how he feels about this.